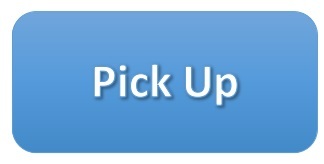 Pick Up is available from: Melbourne, Sydney, Perth, Adelaide & Brisbane, with no extra cost. Please contact us for stock availability, and once order is confirmed, we will contact you with pick-up instruction. At Furnipro, we offer Free Delivery to following areas with a minimum order value (MOV). CBD & Metro Areas only. Outer Metro & Country Areas please contact us for delivery quote. 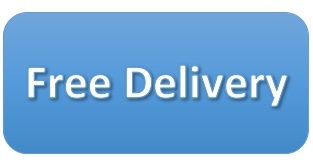 Free delivery offer goes to ground floor, if item needs to be carried upstairs, extra charge will apply. All items will be delivered flat-packed and ready for easy assembly. Assembly service is available for extra cost. Multiple destinations is not included in this free offer. If delivery has to be cancelled due to customer's reason, the 2nd delivery will be charged accordingly. 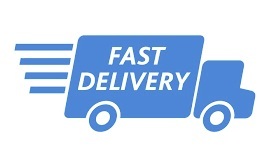 We strive to provide Fast Delivery. For Metro Areas, delivery will normally take place in 1-5 working days from the date of order’s been confirmed with payment, and providing all items are in stock. Small items are guaranteed next day dispatch (non-stock items are not applied). For Interstate & Country Areas, dispatch will happen within 2-4 working days from the date of order’s been confirmed with payment, and providing all items are in stock. We endeavour to minimize any delays, but we have no control over delivery time frames once the shipment has left our warehouse. If your order includes out-of-stock & custom-made items, we will contact you with the lead time. Extra cost will occur for split deliveries. If assembly service is requested, the lead time may delay due to our assembly crew’s working schedule. For customers, please make sure the delivery address provided will be attended on the agreed delivery day. Our driver will contact you prior to arrival, so please make sure your mobile phone is switched on. Please note, our drivers are working on their schedules, so if the delivery is missed due to customer’s reason, 2nd delivery charge will be applied. According to OH&S policy, items over 25kg are considered as oversize. In the event of only one driver delivers oversized item, we will contact you in advance to let you know that assistance will be required from driver. Furnipro will take no responsibilities for the loss or damage on the goods if delivery is authorized to leave without signature.